​ Laura I. 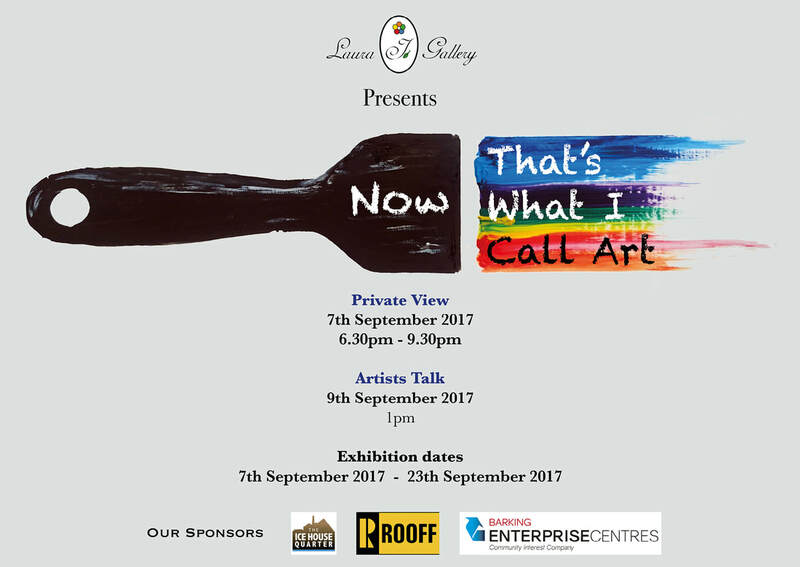 Gallery is thrilled to announce the official opening of its new exhibition “Now That’s What I Call Art” on the 7th of September from 6.30PM. Curated by Laura Iosifescu, it aims to celebrate humanity’s beauty and accomplishments but also to act like a motivational power to those in need of inspiration and hope. This completely unique exhibition ties into current affairs around humanity’s shifts and movements to give an exciting insight into society's achievements, dreams, and aspirations. 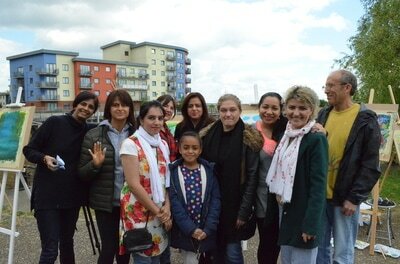 Those visiting will come away with a sense of uplifting positivity and belief. 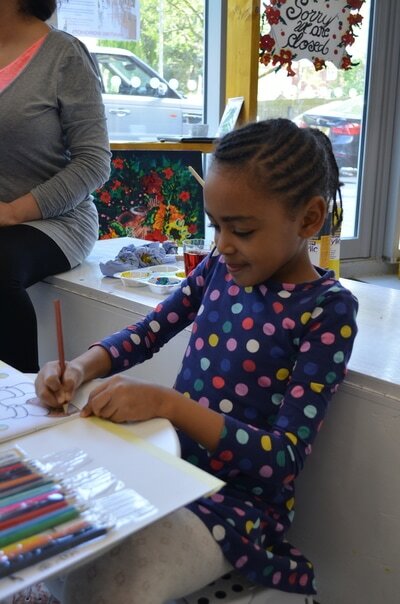 A group exhibition, “Now That’s What I Call Art” celebrates art and honours the finest qualities of humanity and encourages hope for the future. 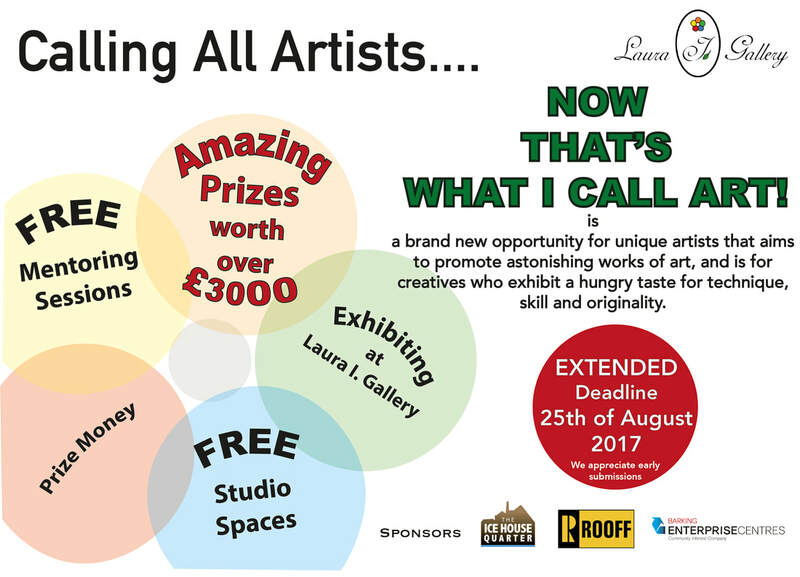 30 professional artists from a myriad of backgrounds and cultures will display works of art that rejoice technique and vision, inspiring people to think outside the box – proving that creativity is without limits! 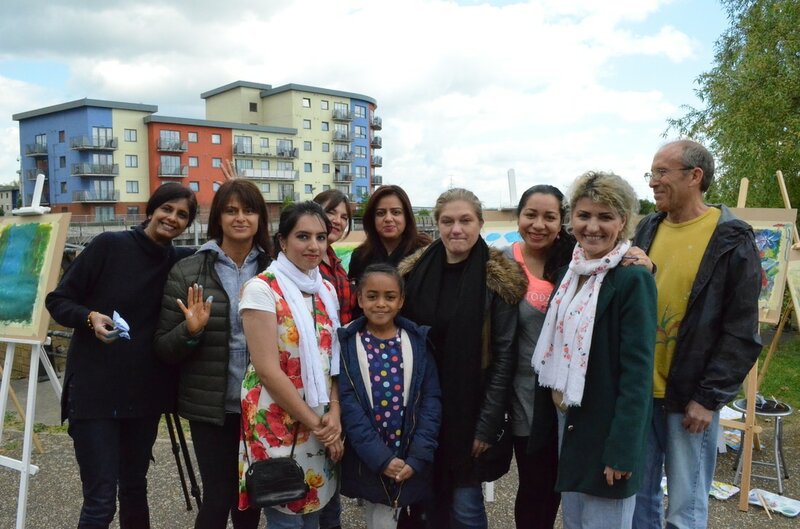 In a way unseen before in the capital, “Now That’s What I Call Art” will act as a personal development opportunity for individuals visiting it rather than just an exhibition. It is suitable for those of all ages, backgrounds, ethnicities and artistic capability. This exhibition celebrates not only ideas but also the ability to turn dreams into reality. It is suited therefore not just to art enthusiasts and collectors, but to the community at large – to seek inspiration and solace and indulge themselves in happiness and hope by giving them all the chance to own of these amazing artworks themselves. Laura I. 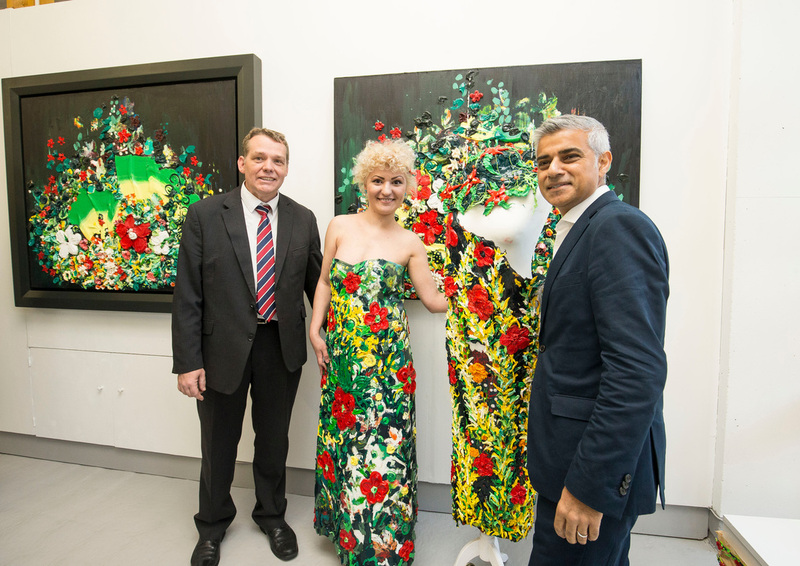 Gallery is based in Abbey Road, Barking, and was inaugurated by Mayor of London, Sadiq Khan, and the Leader of Barking and Dagenham Borough Council, Councillor Darren Rodwell, in 2016. 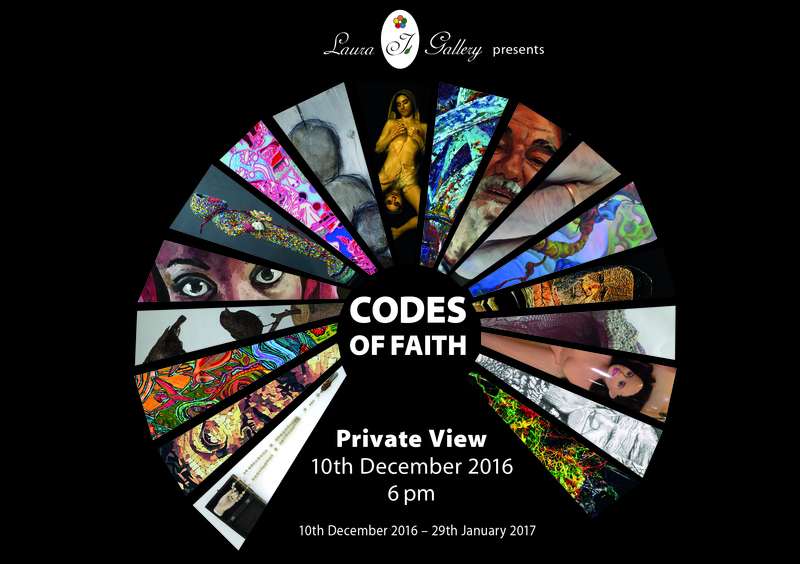 The gallery has already hosted several curated exhibitions including the highly successful “Blessings of Life” and “Codes of Faith”. The gallery is widely recognised as one of the most exciting new art spaces in London. 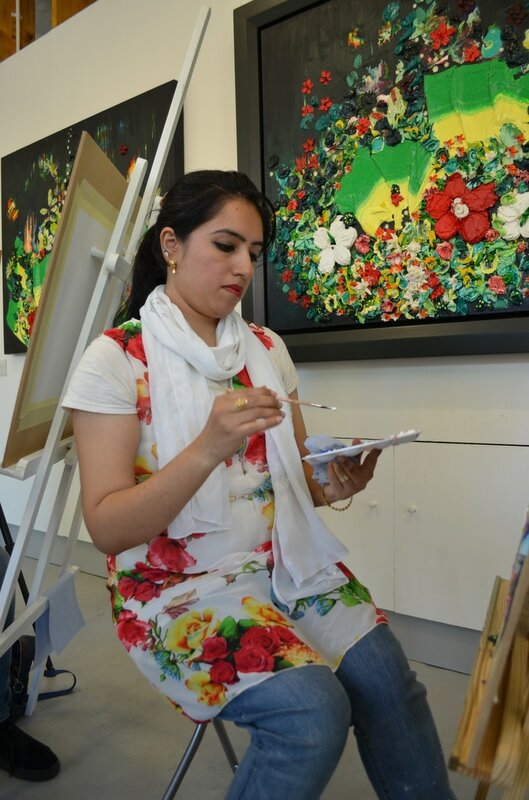 Founder and Director Laura Iosifescu is herself an ambitious and talented artist, having created the world’s first wearable art made entirely from paint, “Blossom Escape”. Laura said of the upcoming exhibition “I believe that people only exert half of the potential they have. This exhibition is designed to bring in artists to push boundaries and look to exceed their capabilities. In 2017, a time where sadly, so many people around the world are being dehumanised, we long to embrace humanity and showcase our intentions and achievements. "They ran in a second for a piece of cloth,I ran for a piece of inspiration, for a glimpse of the future and for a whole lot of happiness." Does your heart cry out for more creativity in your life? 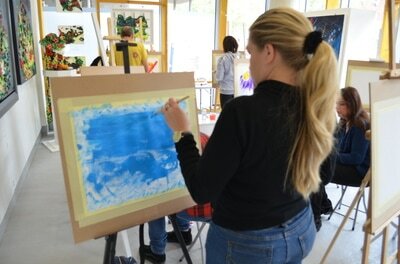 Would you love to pick up a paint brush, mix beautiful colours and express your creativity? 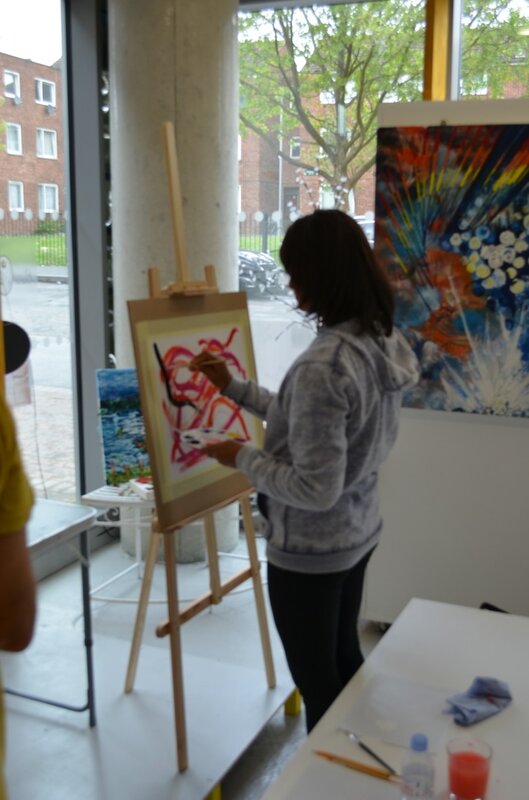 Laura I.Gallery are delighted to announce that from the 4th May 2017 we will be hosting a series of innovative and exciting workshops to help you explore your creative potential. 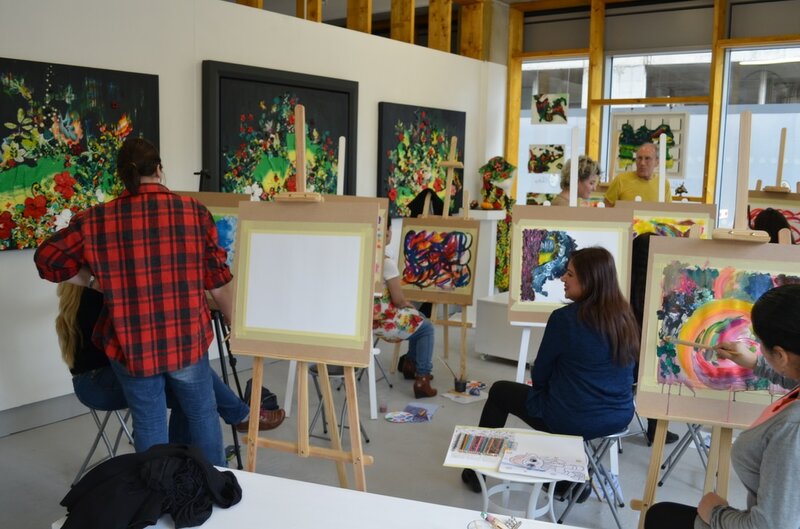 Following our successful taster painting workshop on Saturday 22nd April 2017 we are pleased to announce twice weekly painting workshops that will unleash your creative side under expert tuition. Thursdays will see us focusing on trusting your intuition to take control of your paint brush and develop your own style of artwork. 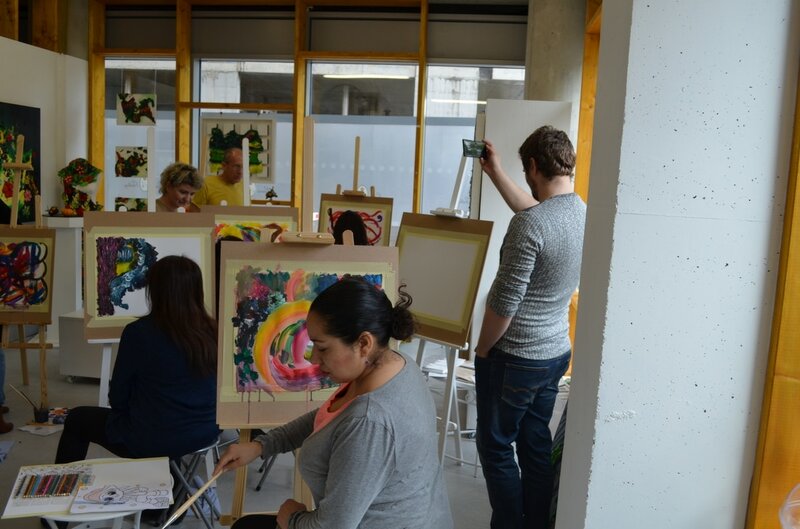 On Fridays you will learn the fundamentals of drawing and painting, learn new skills, improve your old ones, and have lots of fun, with like minded people, in the process. 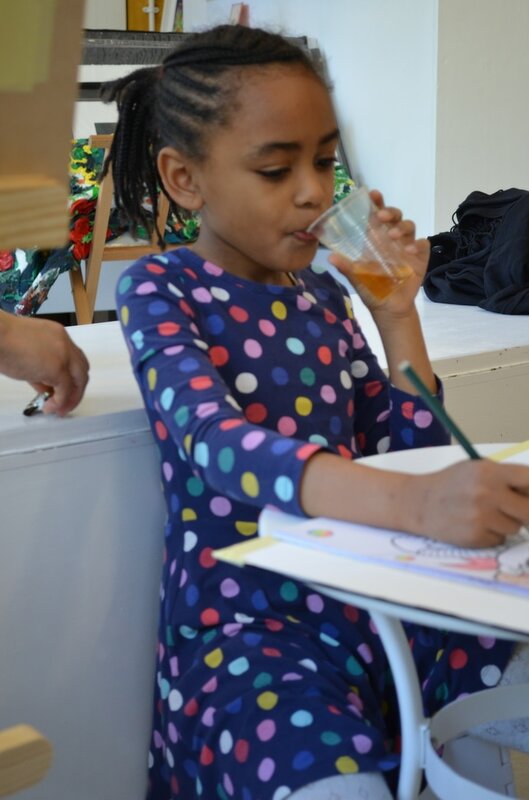 Each week we will explore a different theme or venue to activate and inspire your imagination and your creative side. 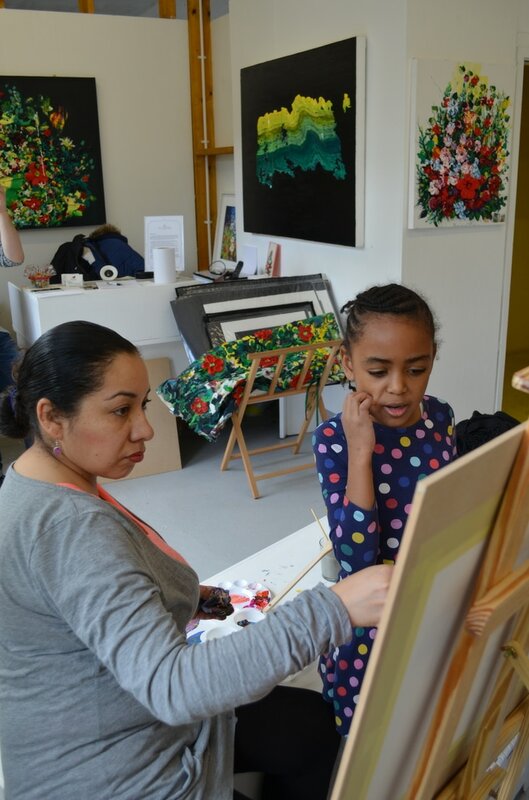 From painting at the nearby nature reserve, to trips to Down Abbey church in Barking,or V&A Museum to life model drawing, there's an abundant array of possibilities at Laura I.Gallery to fuel your artistic flames. With limited places of only 10 we would advise you to book up early to avoid disappointment. For those booking for 3 months or more we will be offering special VIP deals that are too good to miss out on. 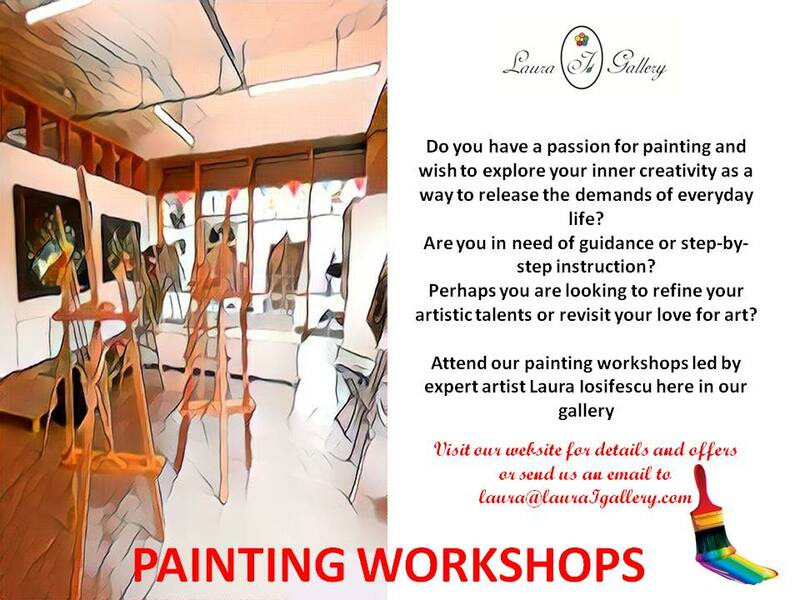 So why not escape from the stress and monotony of everyday life and join us at Laura I.Gallery to reconnect to your passion, express yourself freely and find your flow to ignite your creative spark and free your inner muse. 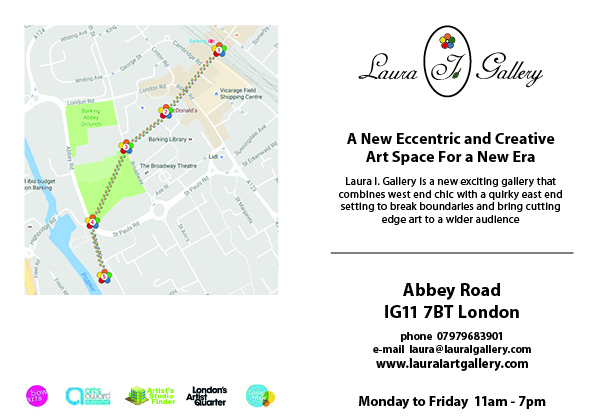 We look forward to welcoming you at Laura I.Gallery! FEED YOUR HEART WITH ART! 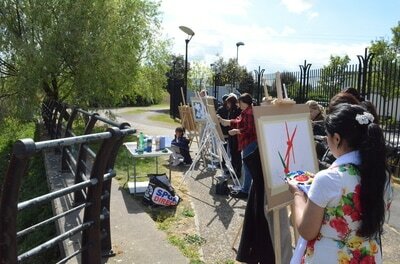 I am writing to remind you about the warm invitation to attend our ‘taster’ painting session on the 8th of April. 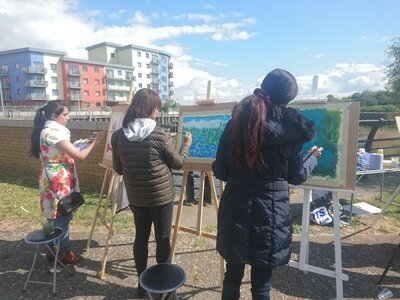 During the workshop, you will get the opportunity to draw creative inspiration from the natural world in our nearby nature reserve – home to a wide range of bird species. You will observe the amazing beauty of our natural world – and will enjoy experiencing the world of painting outdoors – before finishing the workshop in our gallery space with a rewarding and relaxing (and well deserved!) glass of wine. Please note that the event will be filmed for promotional purposes, so you will need to give consent for this.You will not be filmed from front if you dont want too. To enable everyone to fully and freely explore their creativity in a suitable environment, we are limiting the number of participants to 10. Of course, this select number of places and affordable price, means that the workshop will fill very quickly. So please, grab this wonderful opportunity to take your creativity to another level – book your place today as there are only a number remaining.